The new flagship smartphones Vivo X20 and X20A have been certified in the Chinese telecommunications center TENAA, as reported by our colleagues from GSMArena . The Vivo X20 has a FullView display that takes up most of the front surface. Its resolution and size are not specified. 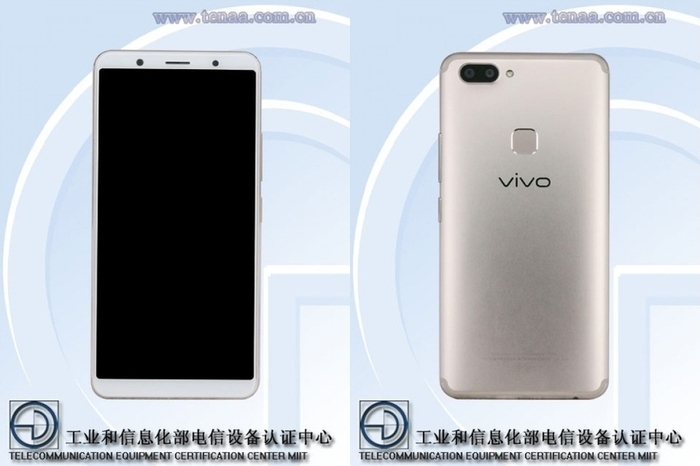 On the back of the Vivo X20, judging by the photo on the TENAA website, there will be a dual main camera with an LED flash and a square fingerprint fingerprint scanner. As for the Vivo X20A, it will be larger than the X20 in size. Their other characteristics will be similar. For example, in 2014-2015 goals, a group of enthusiasts from different AMD departments began in their spare time to work on the creation of some productive desktop processors that could "plug a hole" between Ryzen 7 and the server EPYC. For a while, the work was conducted on bare enthusiasm, and only in June 2016 information about this concept reached Jim Anderson , who at that time led the development of processors with Zen architecture . He liked the idea, and he began to specify what the characteristics of the processors with the symbolic Threadripper will be, and in what terms they can be brought to the market. The development team admitted that with the resources available at that time it was possible to count only on the appearance of Threadripper not earlier than 2018, but Anderson categorically stated that processors are needed by mid-2017. To achieve this goal, additional resources were thrown, but AMD representatives admit that in this sense it was possible to save on development. First, part of the work was already done on pure enthusiasm, and did not require additional material costs. Secondly, Threadripper processors were in many ways similar to EPYC, and therefore required only a minor alteration in the specifics of the desktop segment. Finally, the multicrystal layout significantly saved the budget, which has already been mentioned more than once in similar interviews. The company just wanted to release productive desktop processors with a lot of cores. Even the code label Threadripper has become a trademark of serial processors in violation of accepted traditions. The development of these processors was kept secret until May 2017, and in August 2017 they were already on sale. Such secrecy is also not typical for AMD. Finally, AMD promises that new products will be released for the Socket TR4 platform. As you remember, last year Qualcomm released an improved model of the Snapdragon 820 processor called Snapdragon 821, the only difference being the increased clock speed. But Snapdragon 835, unlike its predecessor, will not receive the updated version. Qualcomm believes that Snapdragon 835 is more than a worthy option for any flagship smartphone and does not need to be updated. By the way, earlier sources claimed that the first smartphones based on the improved Qualcomm Snapdragon 836 processor will be Google Pixel 2 and Pixel 2 XL, the announcement of which is expected on October 5. But instead they will most likely be equipped with a Snapdragon 835 chip. 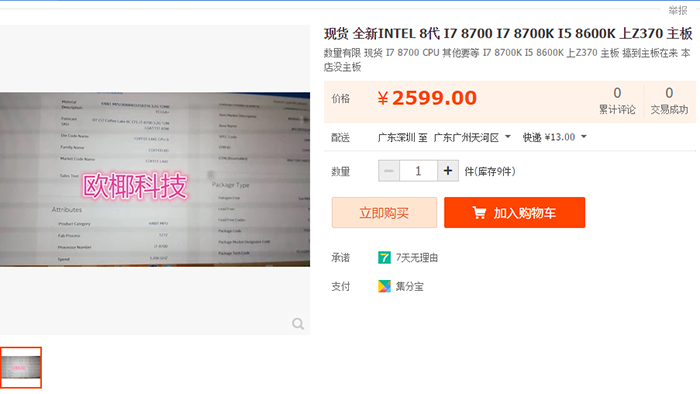 Some Chinese, put on sale a six-core processor Core i7-8700, which has not yet been announced. The six-core Core i7-8700 processor with Hyper-Threading support has a base frequency of 3.2 GHz and 12 MB cache, design LGA 1151 and a TDP level of not more than 65 watts. In fact, this is all that is reported by the seller. 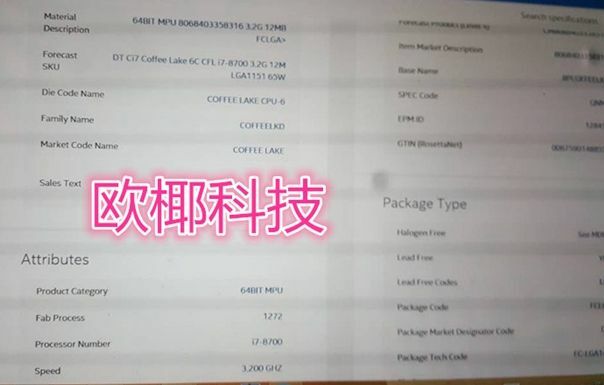 This processor will require a motherboard based on the Intel Z370 , and there are no such chips on sale yet.